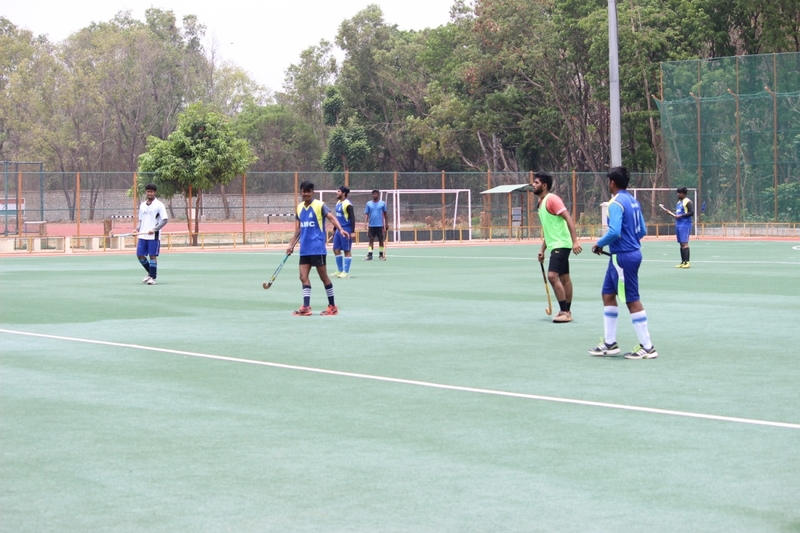 VTU Tournament during the year 2018-2019. 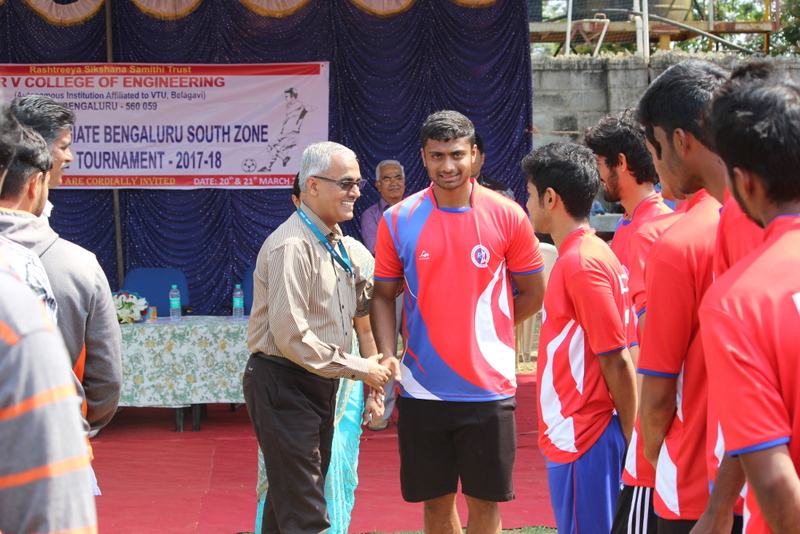 The Tournament was inaugurated by Dr K.N Subramanya, Principal, RVCE. Sri. Krishna Reddy, Registrar, RVCE. Dr. Udayashankar B.C, General Secretary of Sports and other dignitaries. VTU Tournaments during the year 2017-2018. The Tournament was inaugurated by Dr K.N Subramanya, Principal, RVCE. Sri. Krishna Reddy, Registrar, RVCE. Dr. Udayashankar B.C, General Secretary of Sports. The Tournament was inaugurated by Dr K.N Subramanya,Principal, RVCE. The Tournament was inaugurated by Dr K.N Subramanya, Principal, RVCE. Prof. K N Raja Rao, Advisor, RVCE, Sri Purnachandra Regional Director, B’lore South Zone, Sri. Krishna Reddy, Registrar, RVCE. Dr. Udayashankar B.C, General Secretary of Sports. 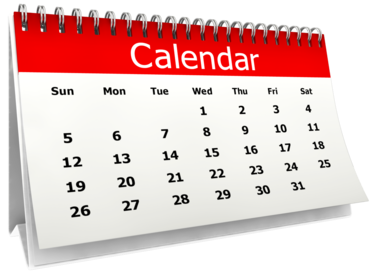 VTU Tournaments during the year 2015-2016. The Tournament was inaugurated by Dr B.S Satyanarayana, Principal, RVCE. 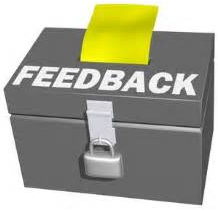 Prof. K N Raja Rao, Advisor, RVCE, Sri Ashok Kumar K.R, Regional Director, B’lore South Zone, Sri. Krishna Reddy, Registrar, RVCE. Dr. Udayashankar B.C, General Secretary of Sports and Sri Vishwanatha C.N, Physical Education Director. VTU Tournaments during the year 2014-2015. R.V.COLLEGE OF ENGINERING has organized “VTU Intercollegiate Bangalore South Zone Cricket Tournament for Men” for the year 2014-15, on 03rd to 13th March 2014. The Tournament was inaugurated by Dr B.S Satyanarayana, Principal, RVCE. Prof. K N Raja Rao, Advisor, RVCE, Sri Ashok Kumar K.R, Regional Director, B’lore South Zone, Dr. Udayashankar B.C, General Secretary of Sports and Sri Vishwanatha C.N, Physical Education Director. R.V.COLLEGE OF ENGINERING has organized “VTU Intercollegiate Bangalore South Zone Kabaddi Tournament for Men” for the year 2014-15, on 08th &09th April 2014. 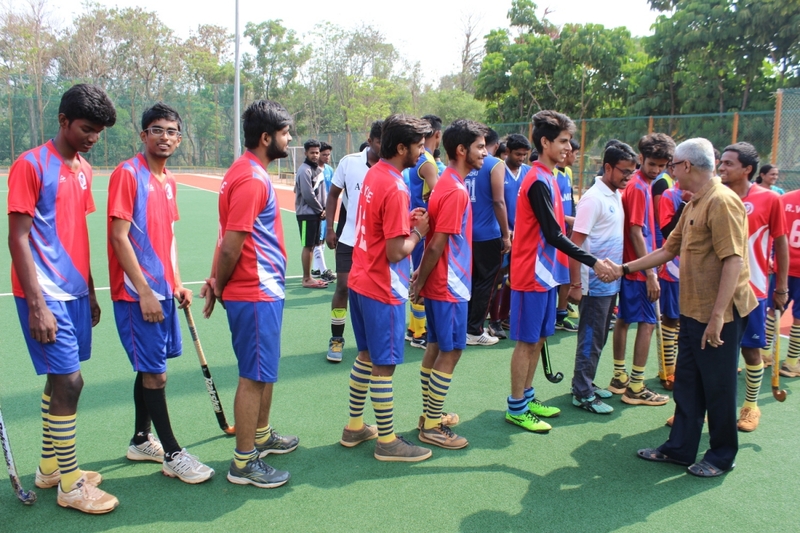 The Tournament was inaugurated by Dr B.S Satyanarayana, Principal, RVCE. Prof. K N Raja Rao, Advisor, RVCE, Sri Ashok Kumar K.R, Regional Director, Dr. Udayashankar B.C, General Secretary of Sports and Sri Vishwanatha C.N, Physical Education Director. 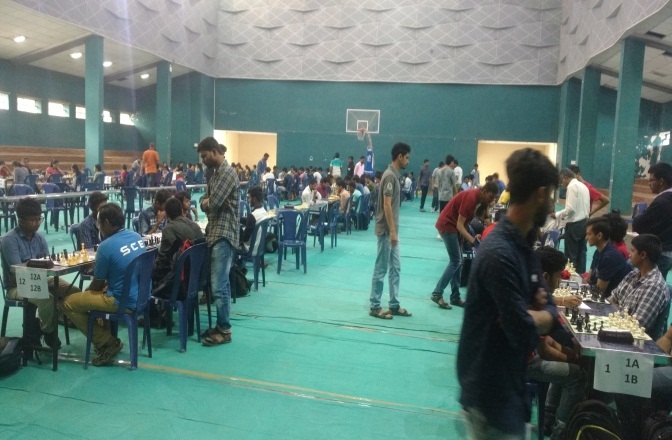 R.V.COLLEGE OF ENGINERING has organized “VTU Intercollegiate Bangalore Zone Chess Championship for Men & Women for the year 2014-15, from 20th to 22ndAugust 2014. The Tournament was inaugurated by Sri Arvind Shastry, International Chess Player, Dr. B.S Satyanarayana, Principal, RVCE, Prof. K N Raja Rao, Advisor, RVCE, Sri Ashok Kumar K.R, Regional Director, B’lore South Zone, Dr. Udayashankar, General Secretary of Sports and Sri Vishwanatha C.N, Physical Education Director. R.V.COLLEGE OF ENGINERING has organized “VTU Intercollegiate Bangalore South Zone Badminton Tournament for Men & Women for the year 2014-15, on 20th &21st October 2014. The Tournament was inaugurated by Dr B.S Satyanarayana, Principal, RVCE. Prof. K N Raja Rao, Advisor, RVCE, Sri Ashok Kumar K.R, Regional Director, B’lore South Zone, Dr. Uayashankar, General Secretary of Sports and Sri Vishwanatha C.N, Physical Education Director. The college has top in VTU sports activities during 2014-2015 among around 225 Engineering Colleges with a massive 838 points. 1. VTU Intercollegiate Bangalore South Zone Cricket Tournament for Men” for the year 2014-15, from 03rd to 13th March 2014. 2. VTU Intercollegiate Bangalore South Zone Kabaddi Tournament for Men” for the year 2014-15, on 08th &09th April 2014. 3. VTU Intercollegiate Bangalore Zone Chess Championship for Men & Women for the year 2014-15, from 20th to 22ndAugust 2014. 4. VTU Intercollegiate Bangalore South Zone Badminton Tournament for Men & Women for the year 2014-15, on 20th &21st October 2014. 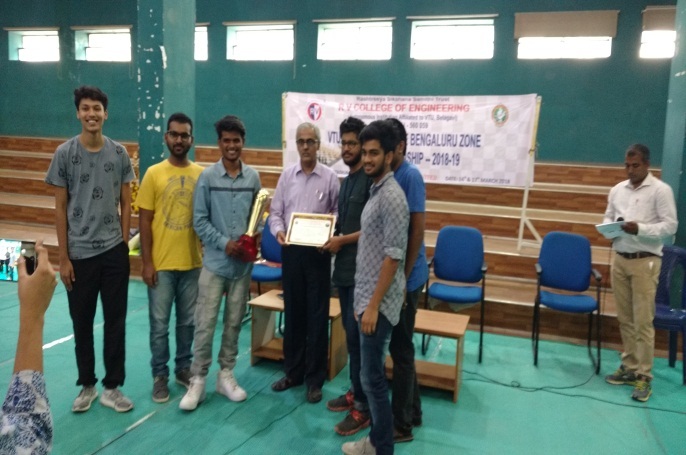 R.V.COLLEGE OF ENGINERING has organized “VTU Intercollegiate Bangalore South Zone Table Tennis Tournament for Men and Women” for the year 2013-14, on 05th and 06th March 2013. 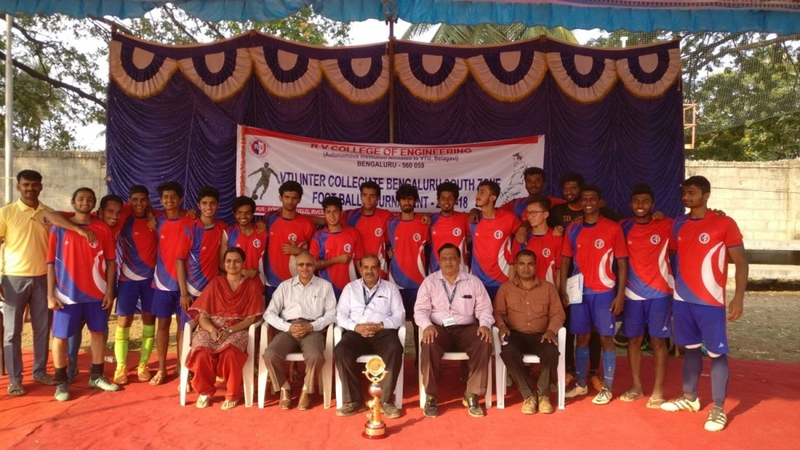 The Tournament was inaugurated by Dr. B.S Satyanarayana, Principal RVCE. The function was graced by Dr. S Satyanarayana, Vice Principal, RVCE, Prof K.N Raja Rao, Sri Ashok Kumar K.R, Regional Director, B’lore South Zone and Dr. Rudranna Nandihalli General Secretary of Sports and Sri Vishwanatha C.N, Physical Education Director.